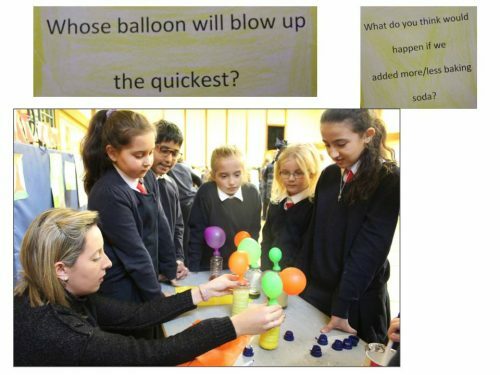 The annual Science / Maths Open Day was a great success. 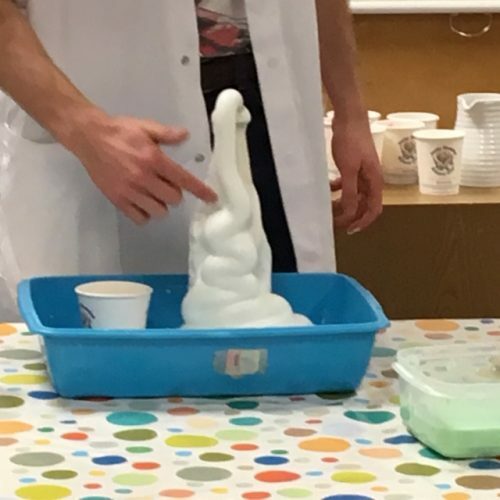 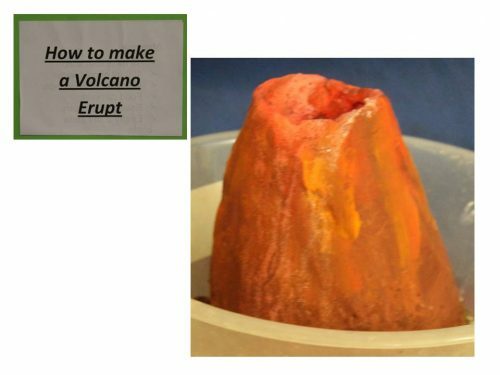 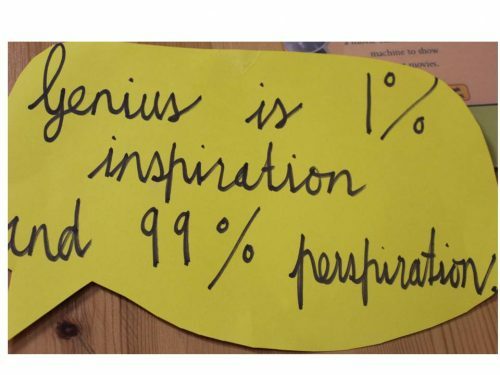 Each class show-cased amazing experiments for each other. 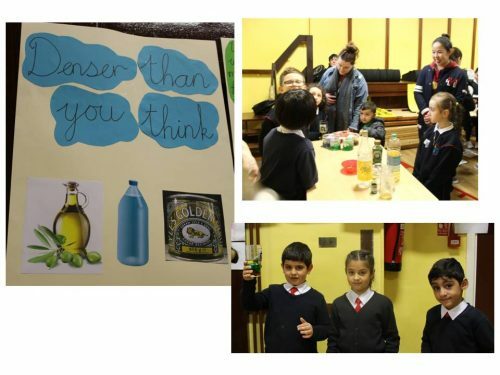 Parents visited in the afternoon and enjoyed taking part enormously. 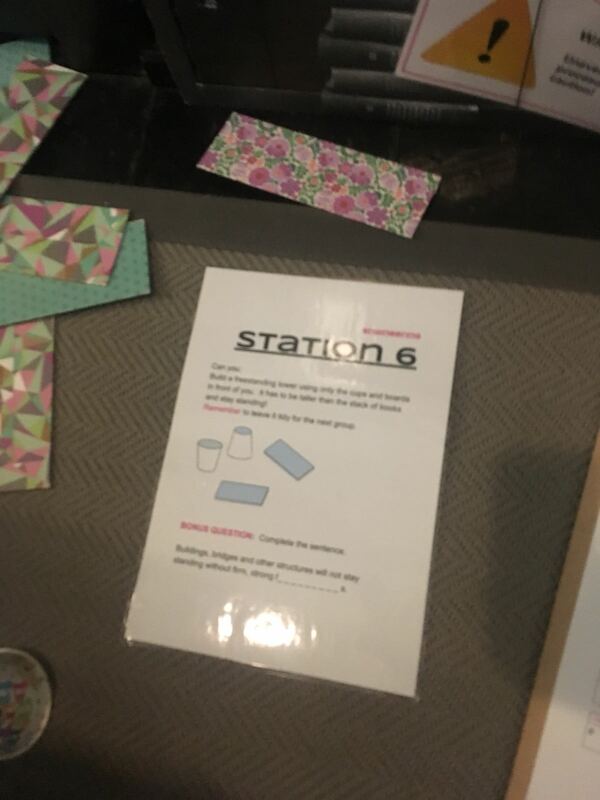 We even had a station organised by parents themselves. 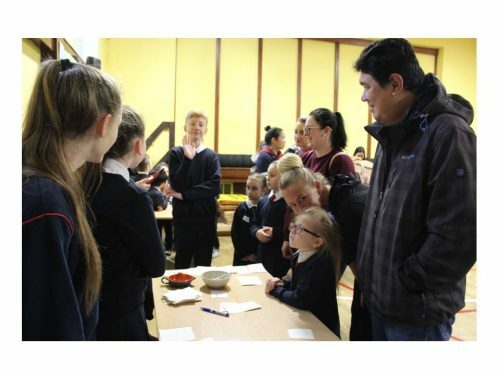 Thanks to everybody for a super day and especially to Ms. Mongan who organised the event. 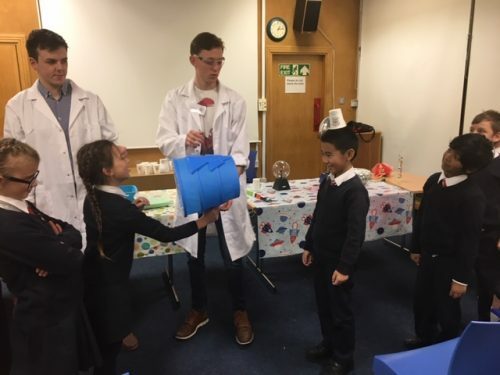 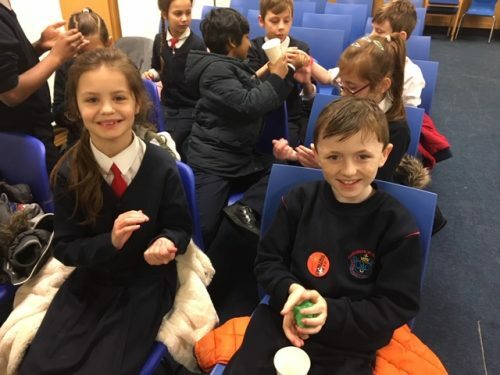 3rd Class and their teacher Ms Feighery were thrilled to attend the Junior Einsteins Science Show in the Ilac Library on Wednesday 21st November. 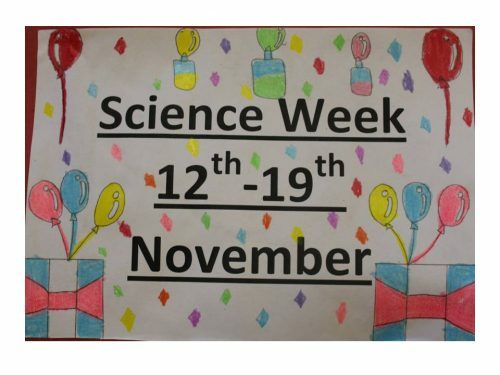 It was a wonderful opportunity to observe and experience lots of science. 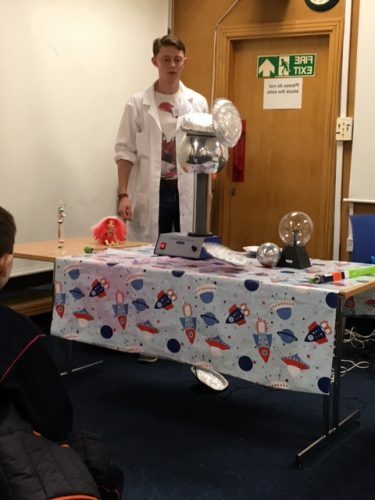 We learned how to make two types of slime and used a plasma ball to light lightbulbs. 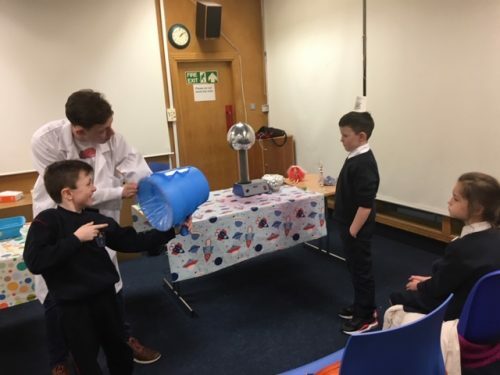 We also got to use a Van de Graaf generator which creates static electricity. 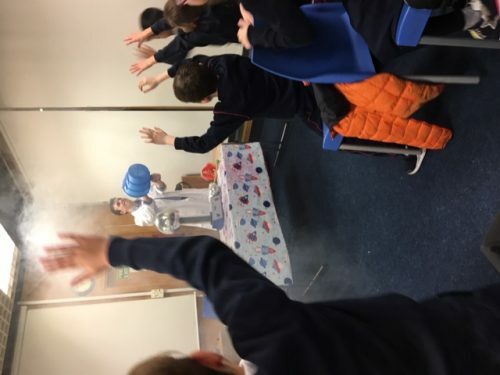 We even got to shoot giant smoke rings at each other with fabulous giant Smoke Cannons, which was fantastic fun until we set off the smoke detector! 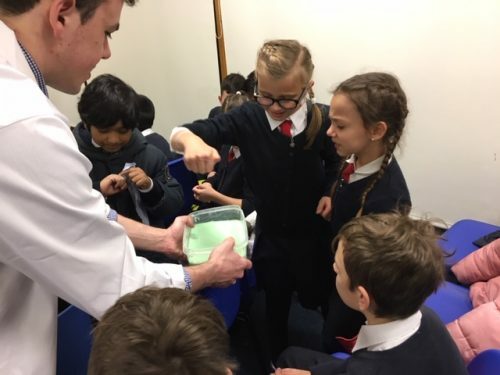 On the way home we were given Science Packs with lots of experiments we can try at home. 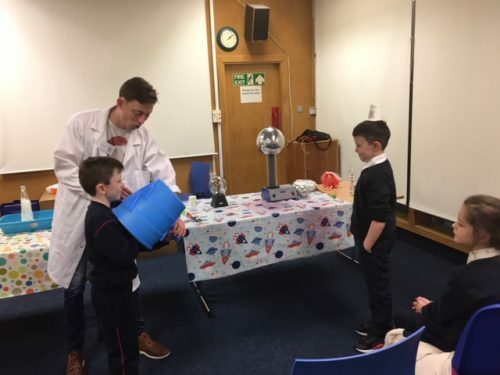 We had a great day and love Science!!! 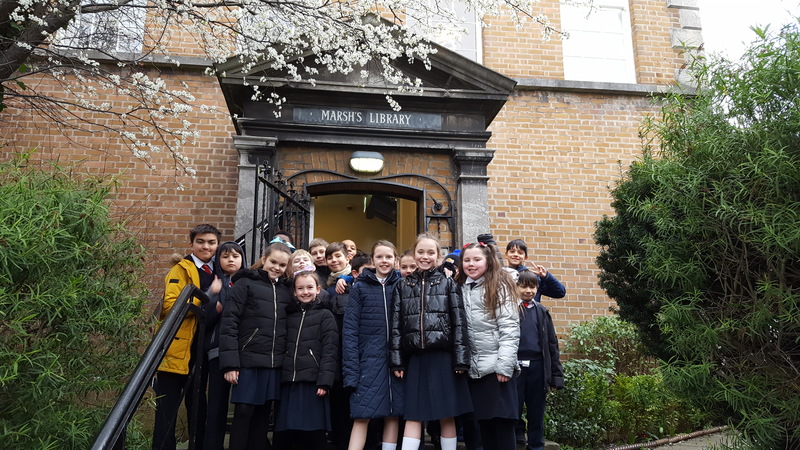 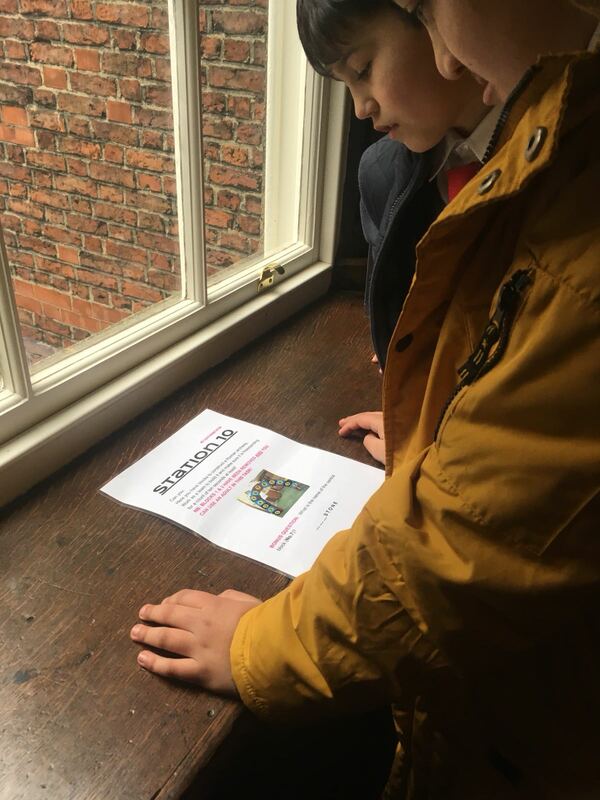 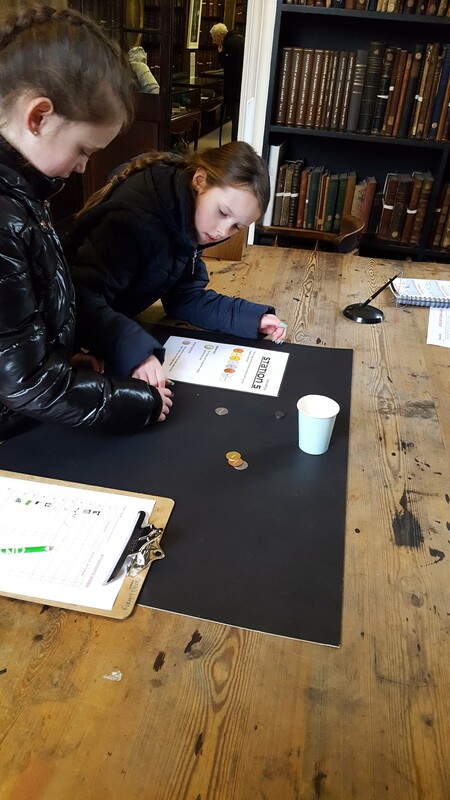 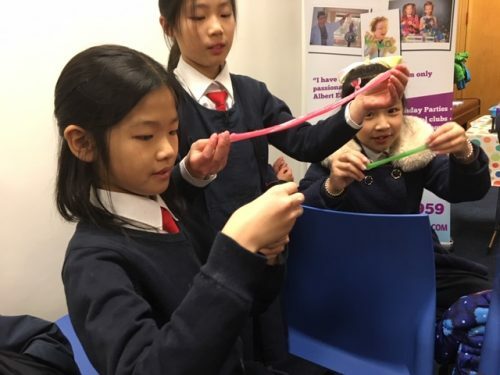 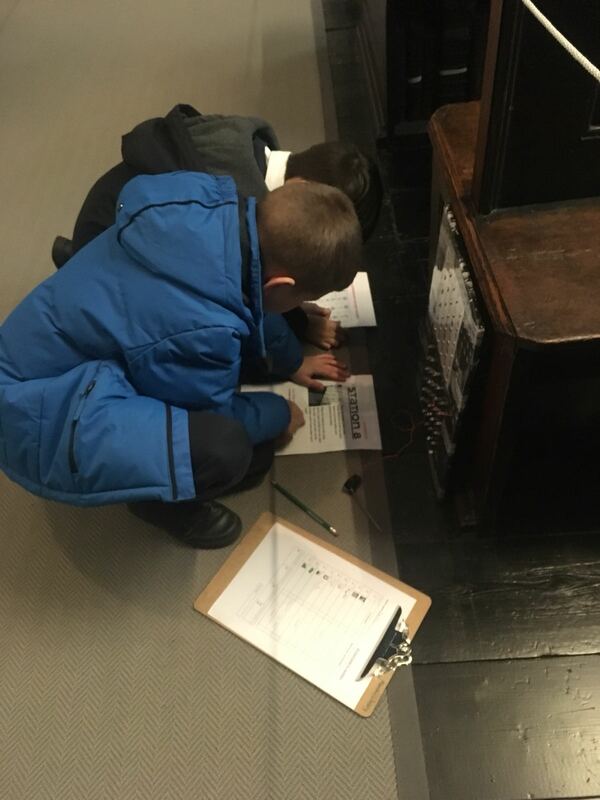 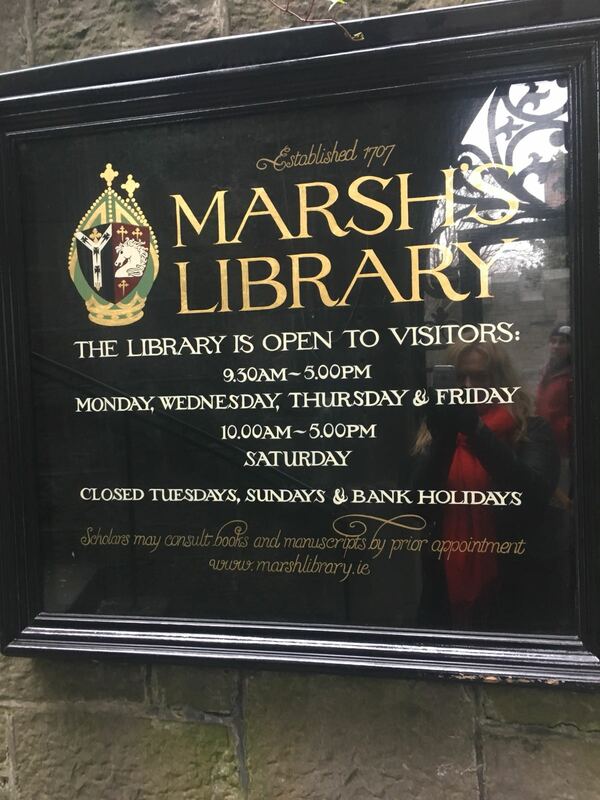 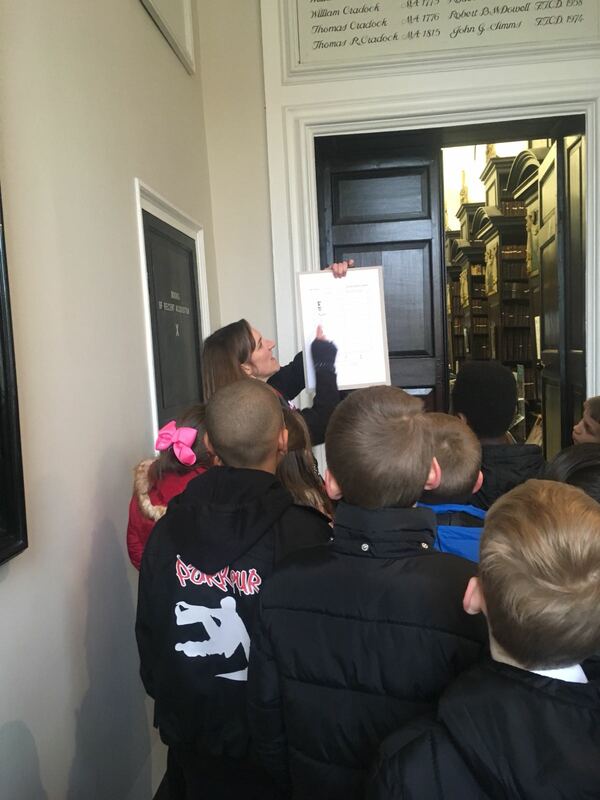 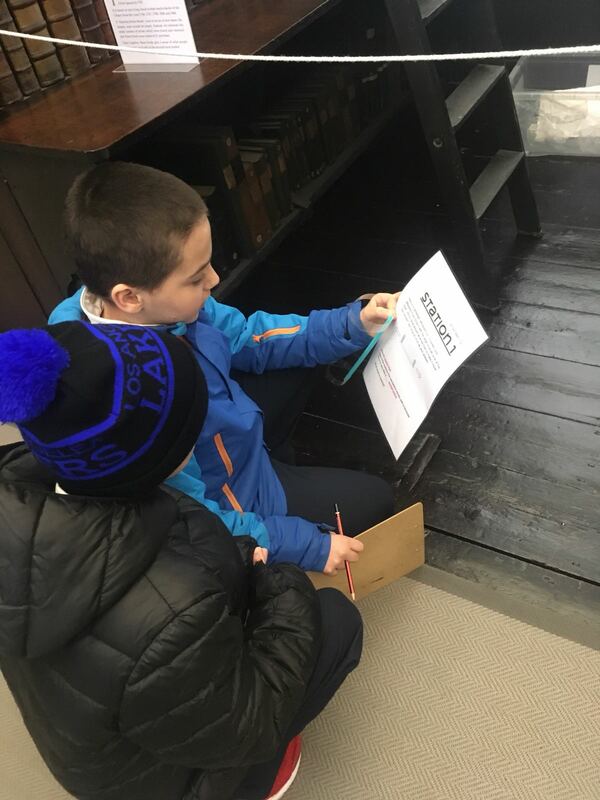 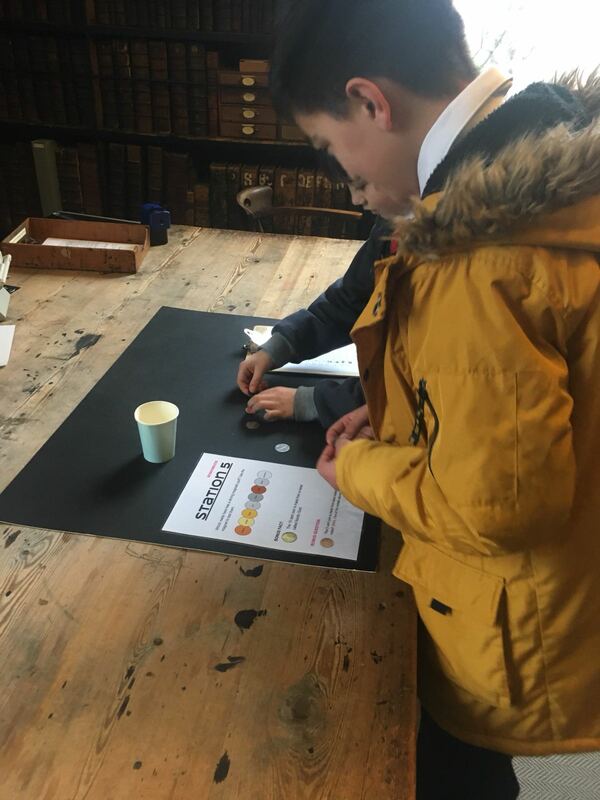 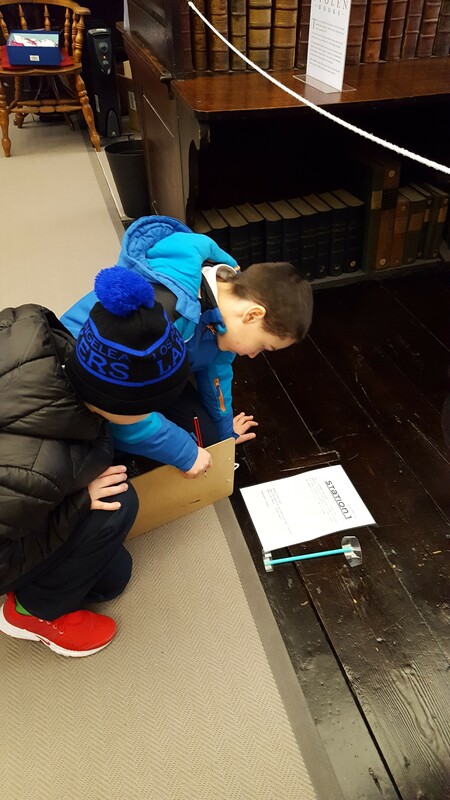 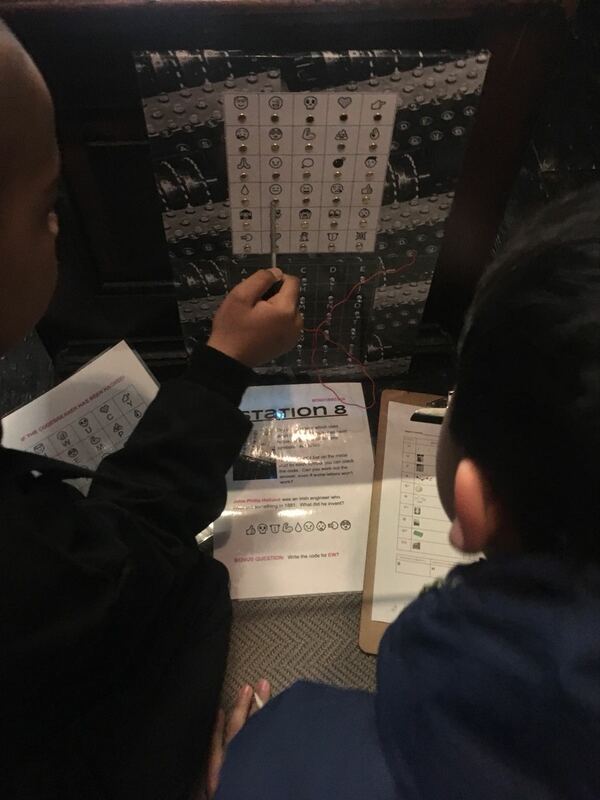 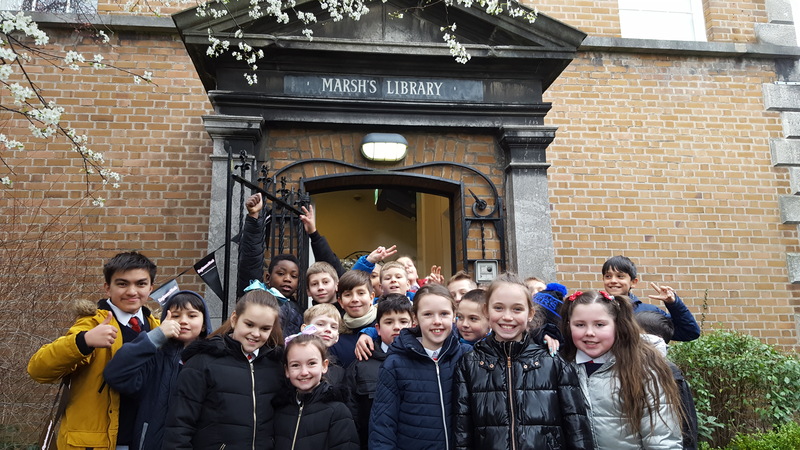 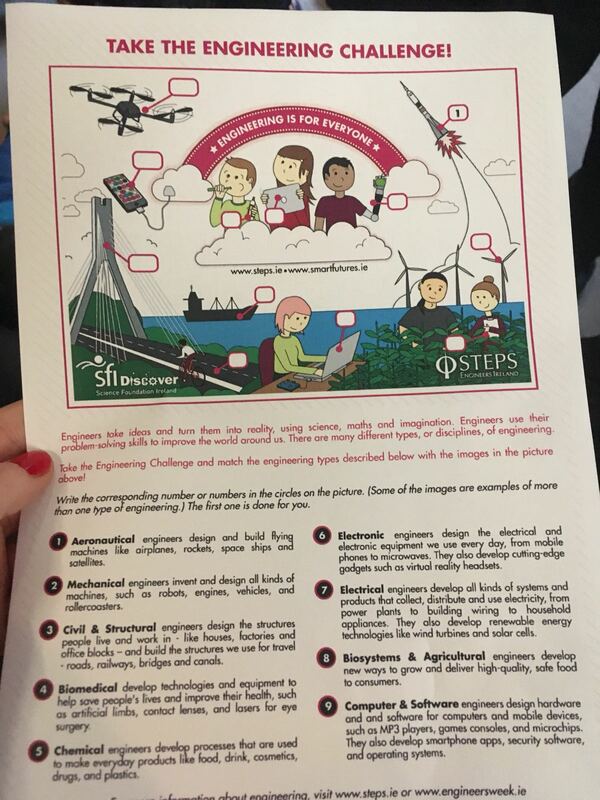 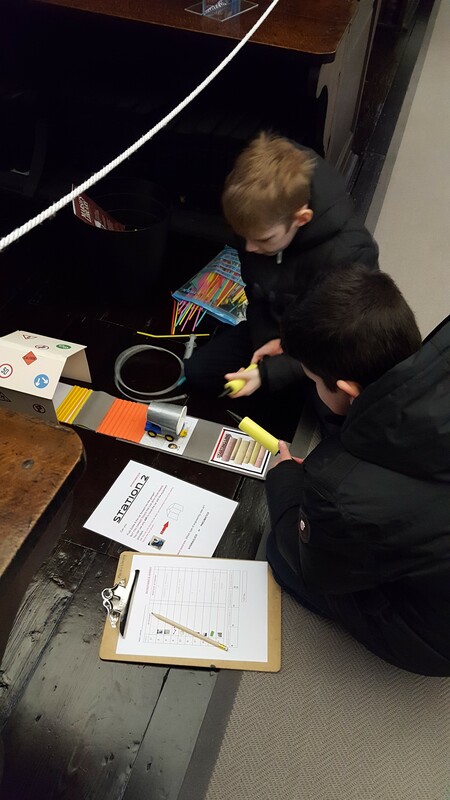 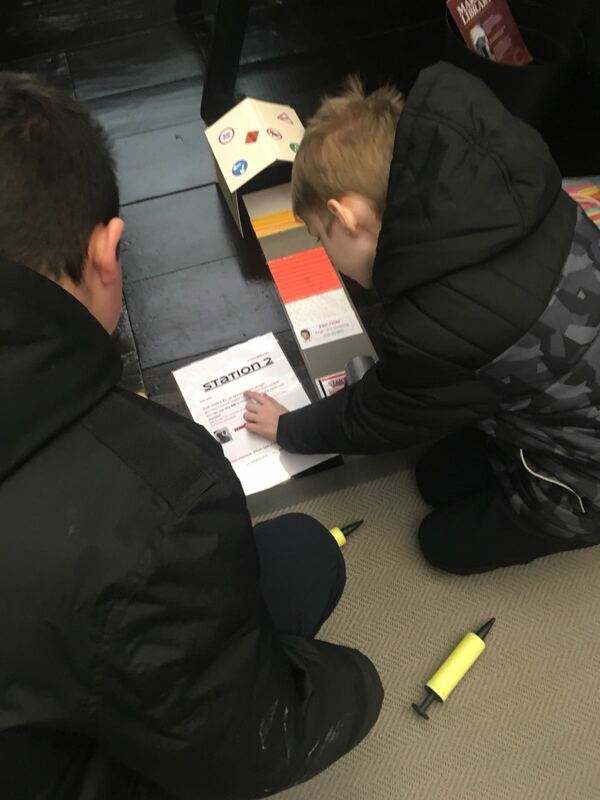 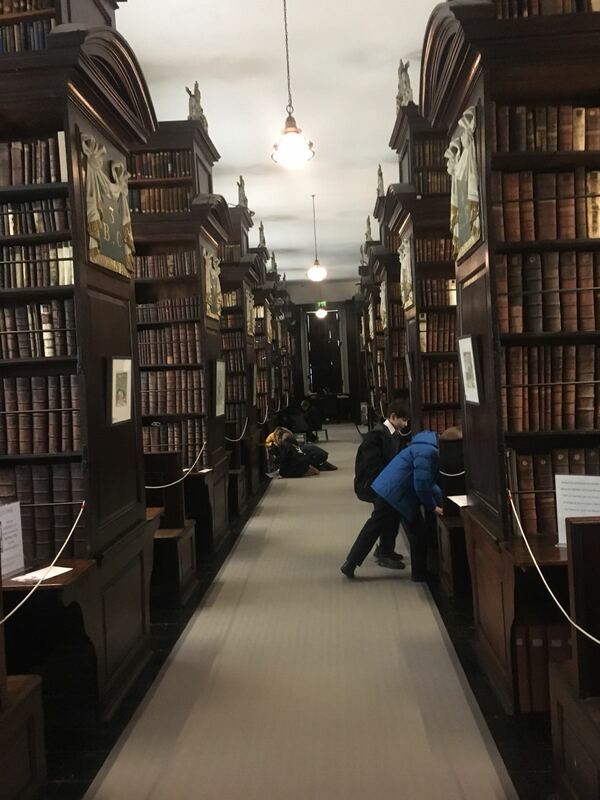 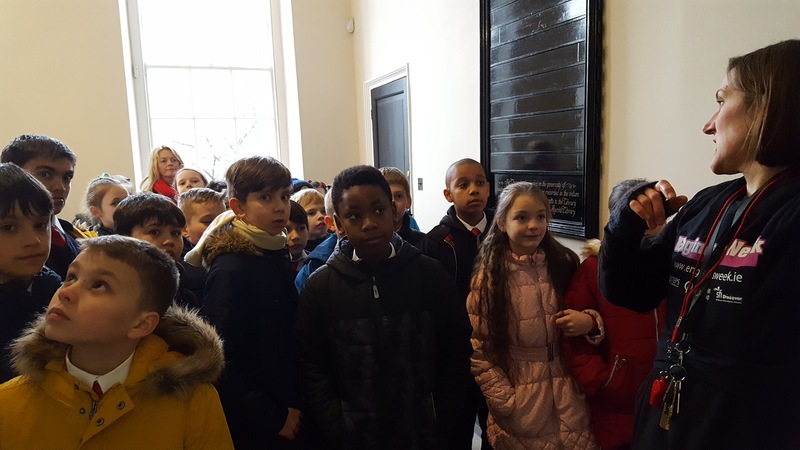 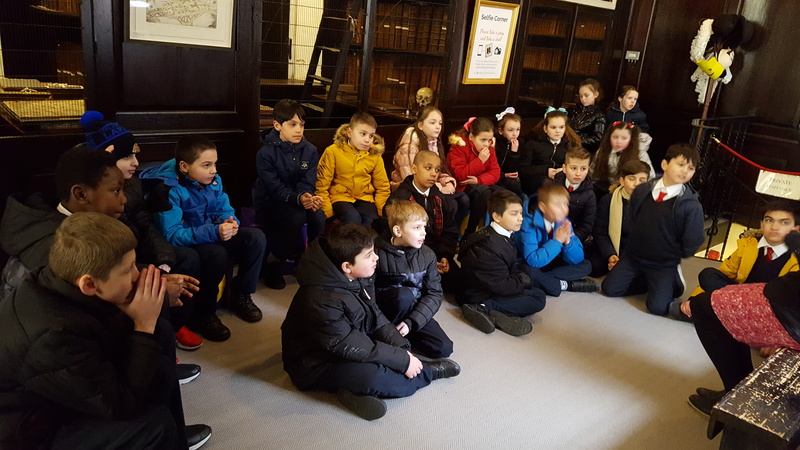 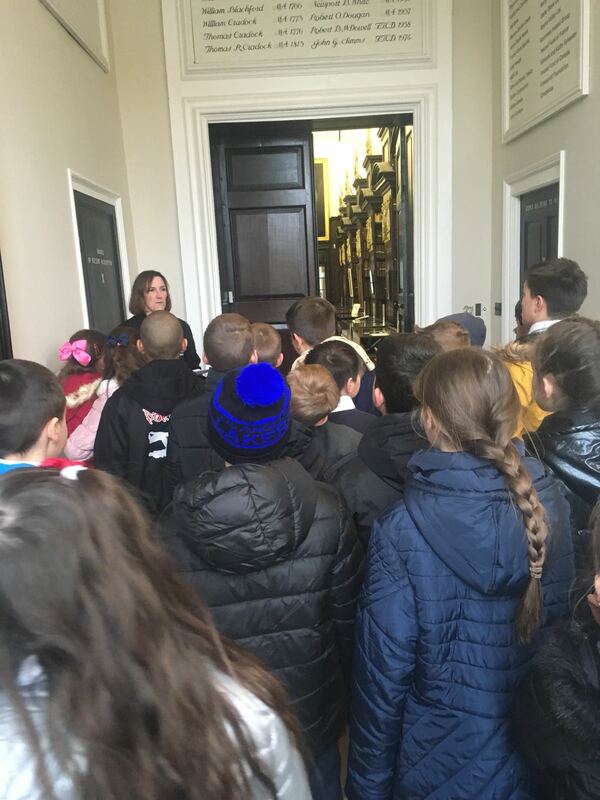 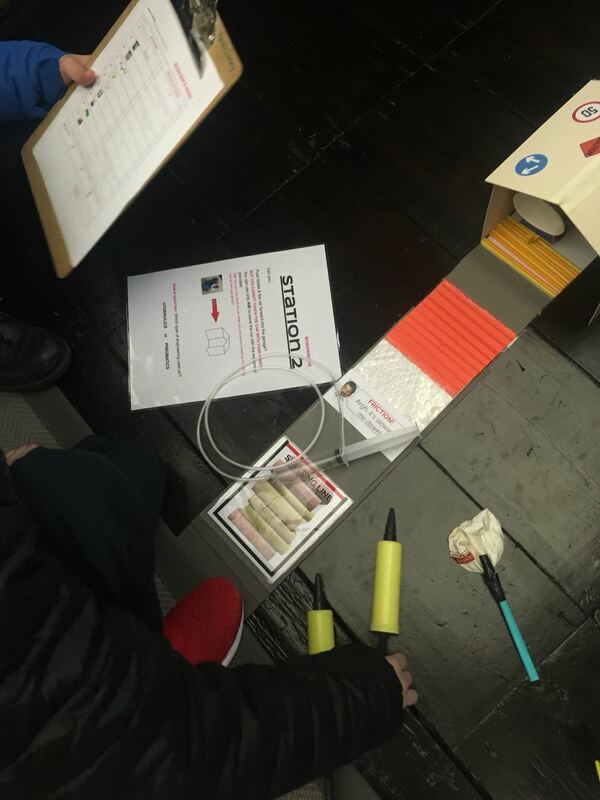 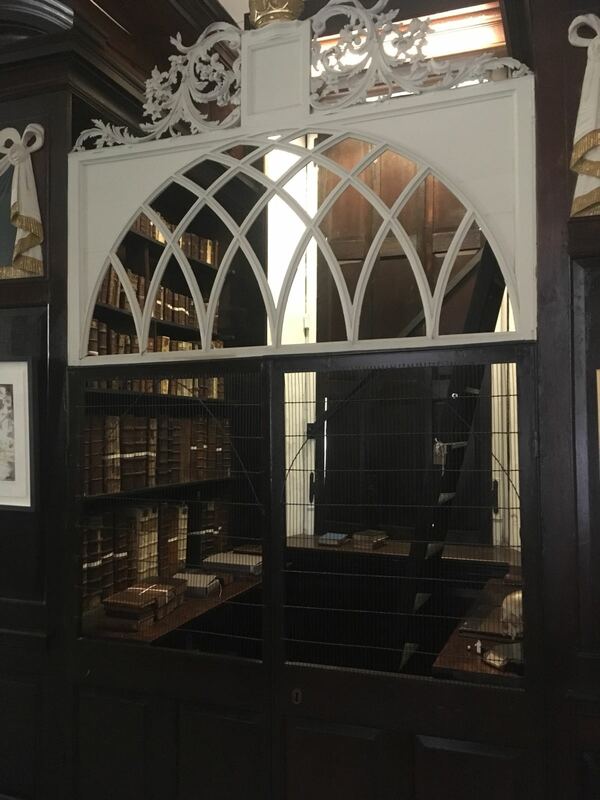 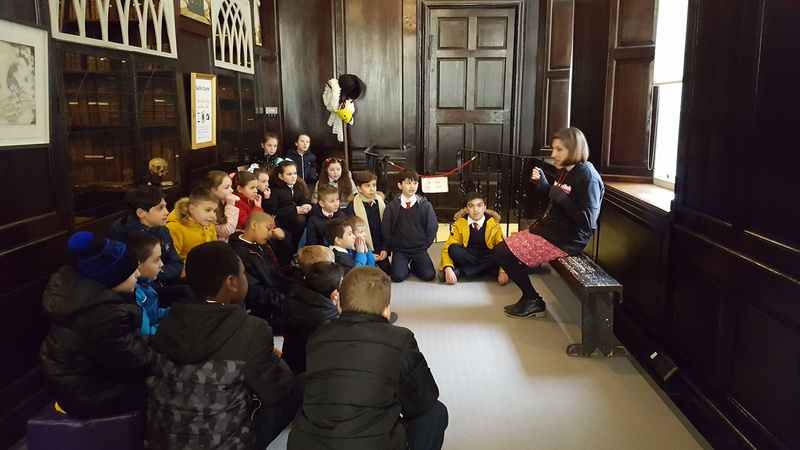 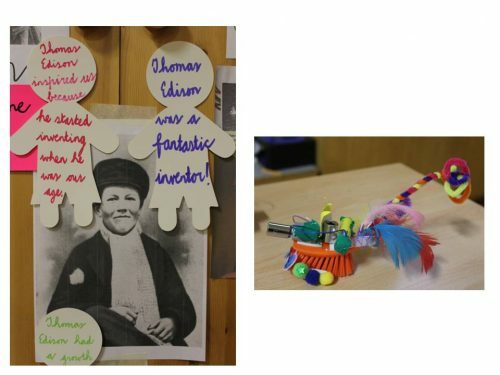 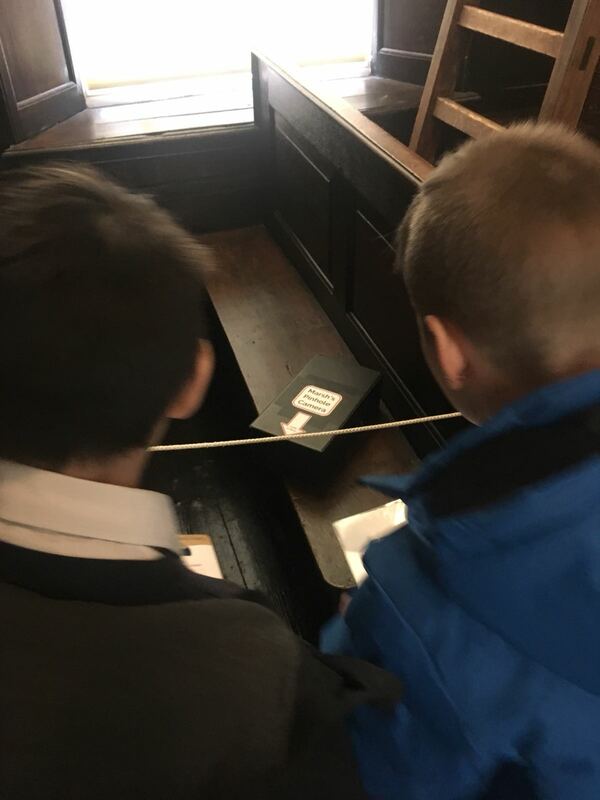 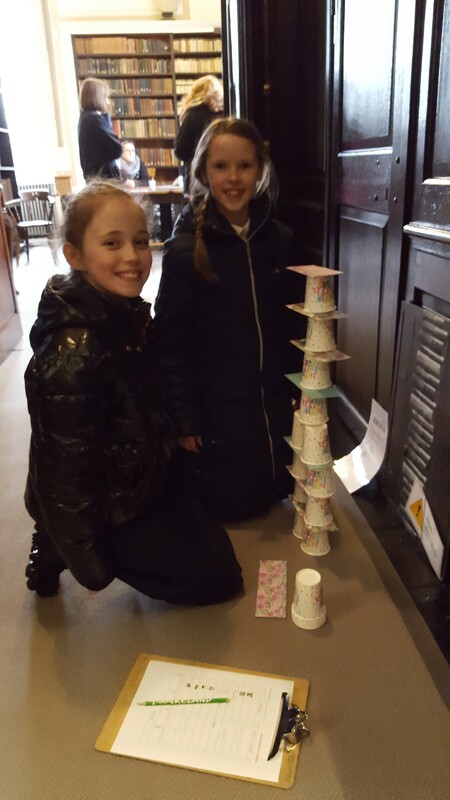 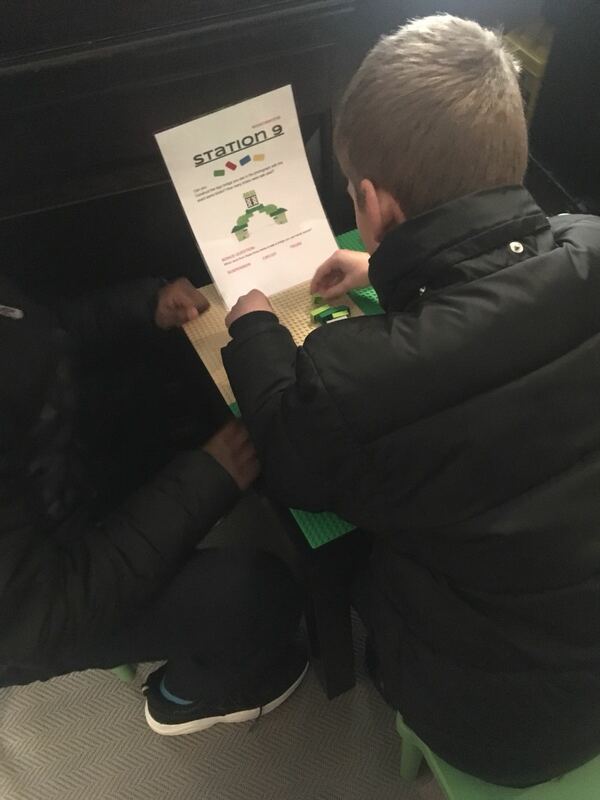 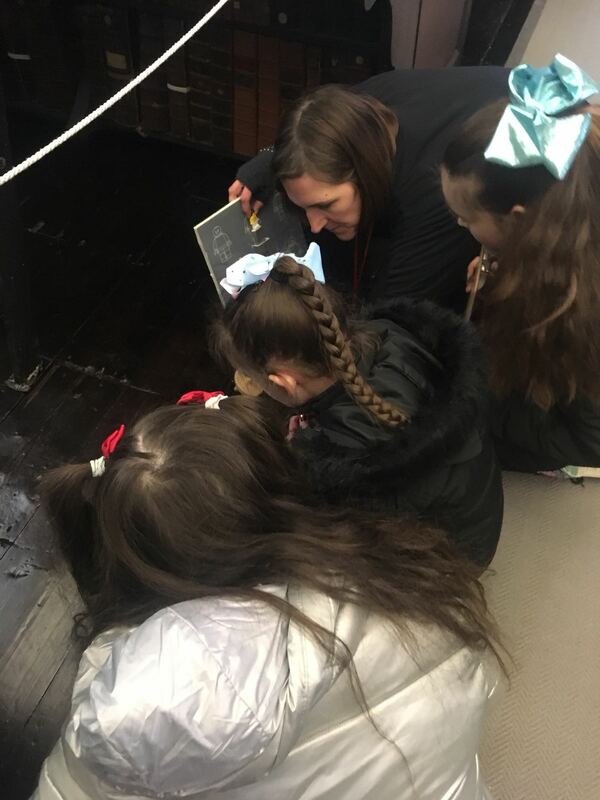 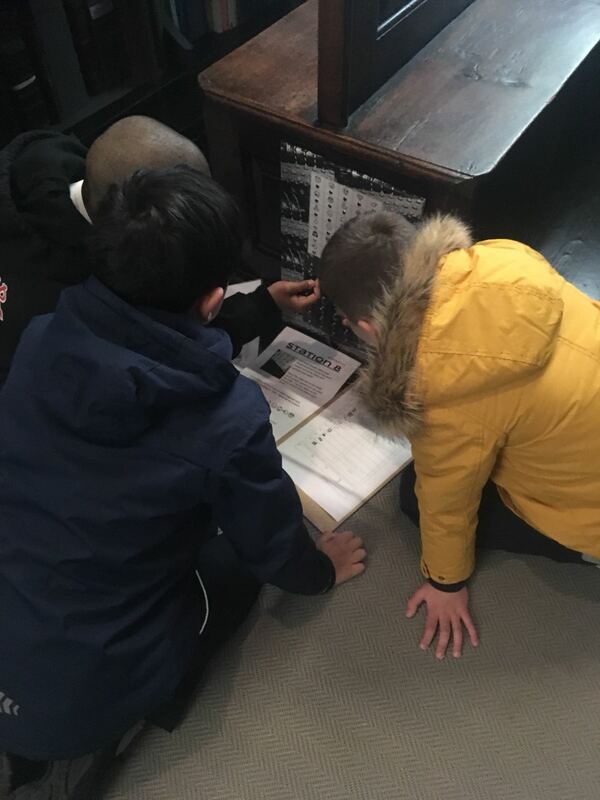 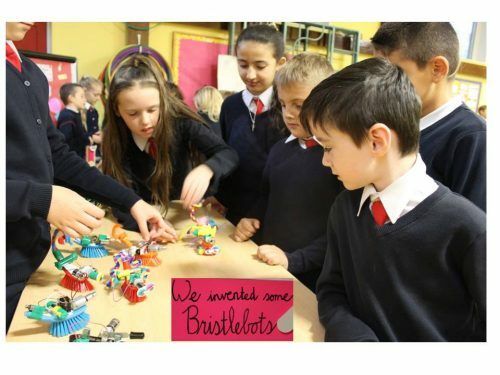 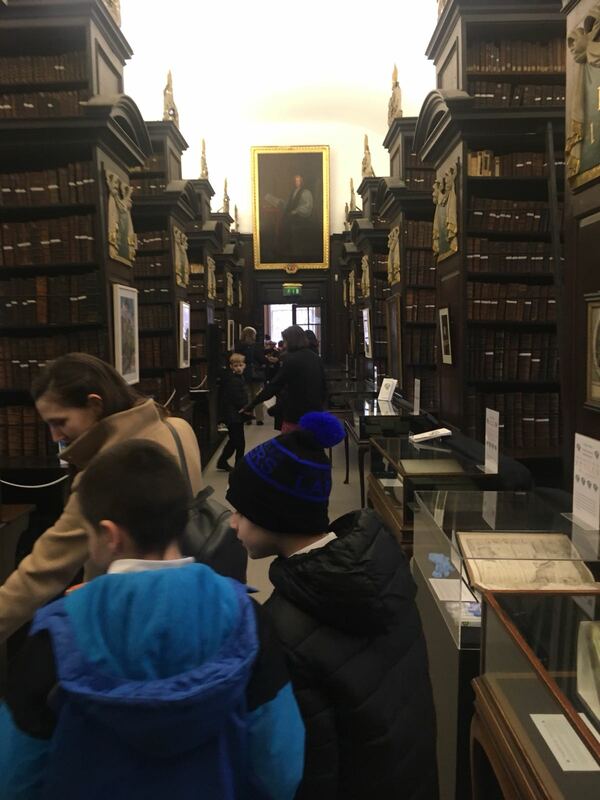 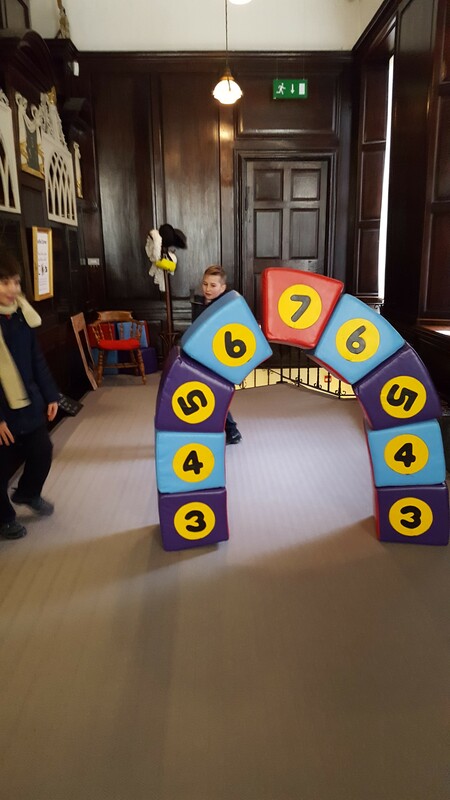 On February 26th, Ms. Mc Donagh’s 4th class took part in an event to mark Engineers Week at Marsh’s Library. 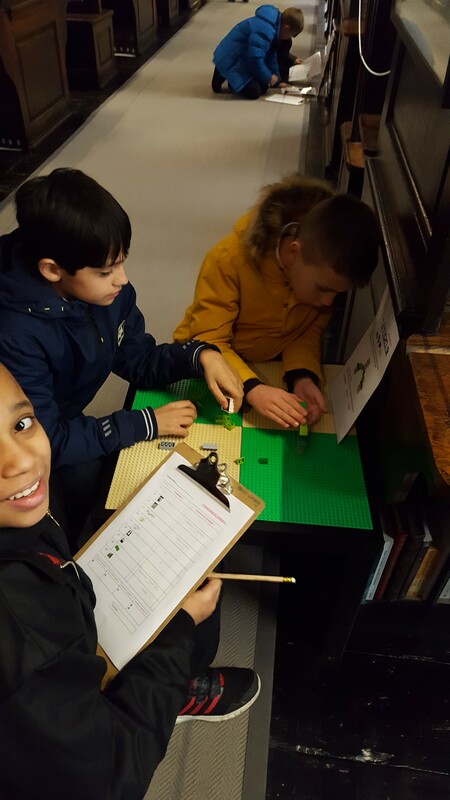 The children got to tackle ten different engineering stations in small teams leading through the library. 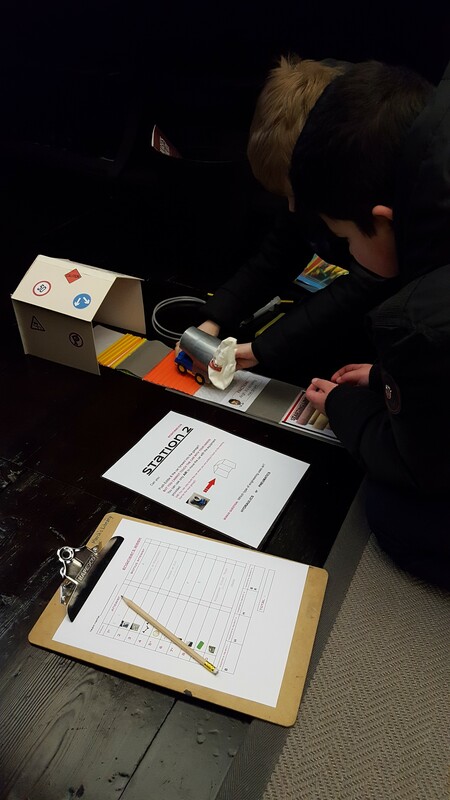 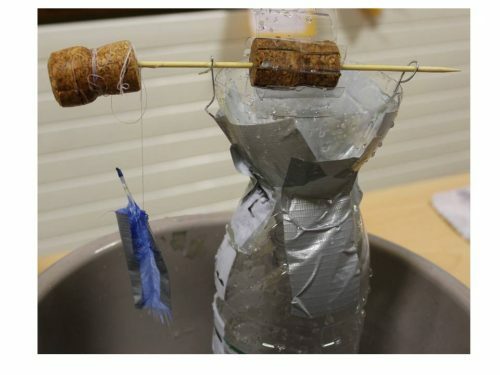 They were challenged in construction, mechanisms, simple circuits and forces. 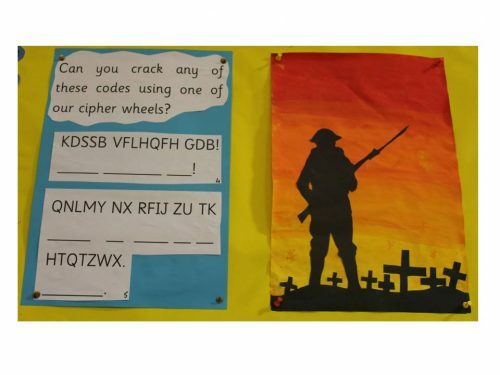 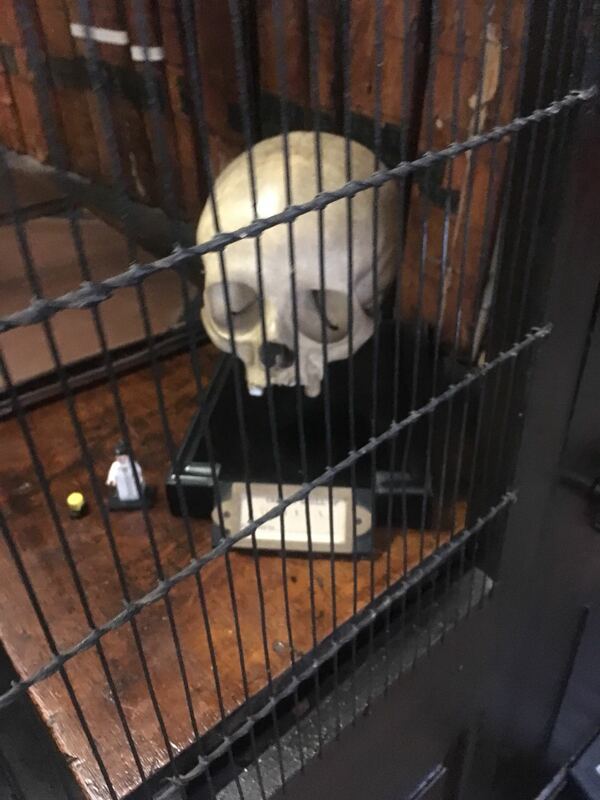 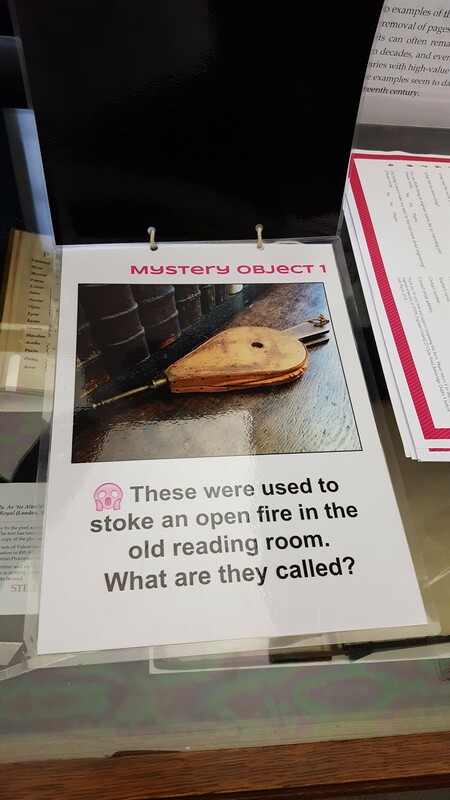 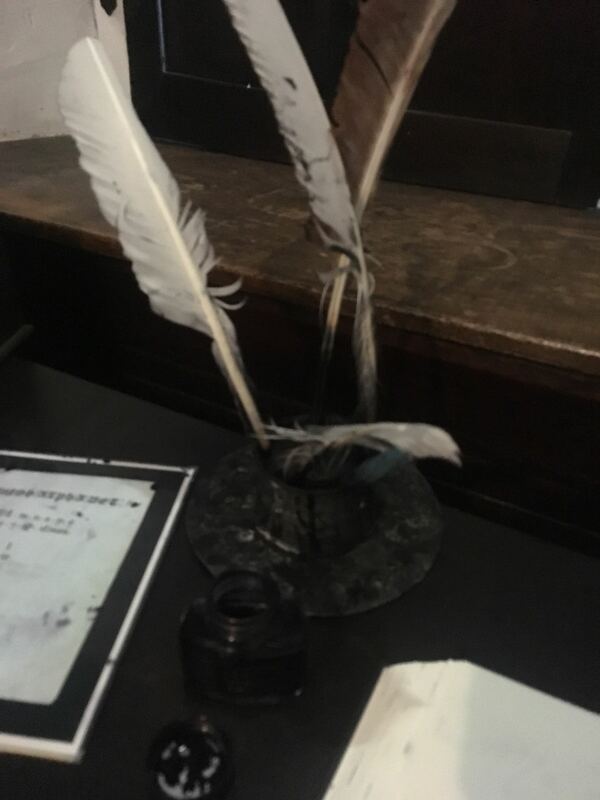 They also tried to identify mystery objects to gain bonus points. 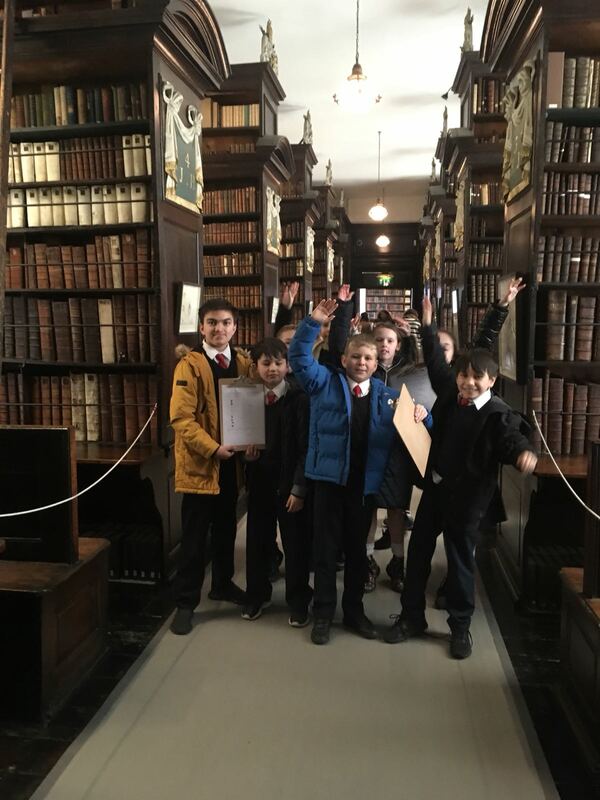 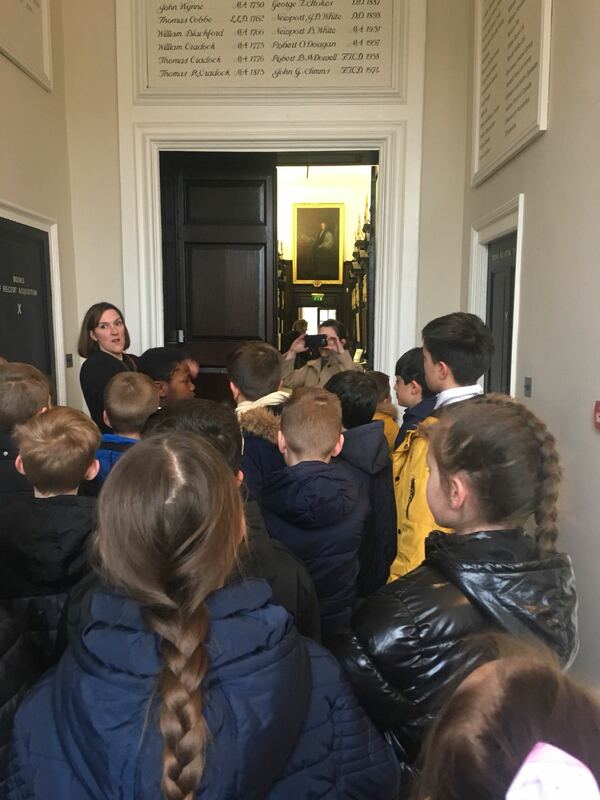 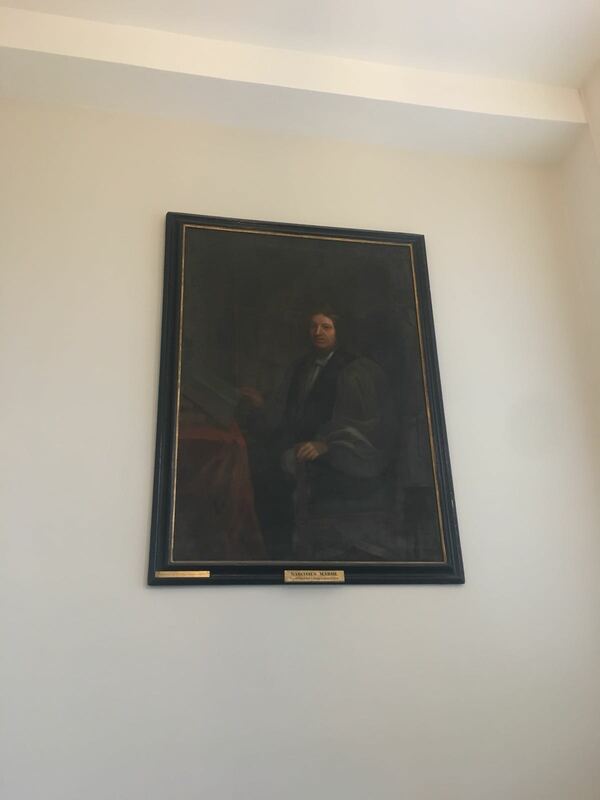 It was a really interesting and enjoyable day and we learned lots, both about engineering and the library itself. 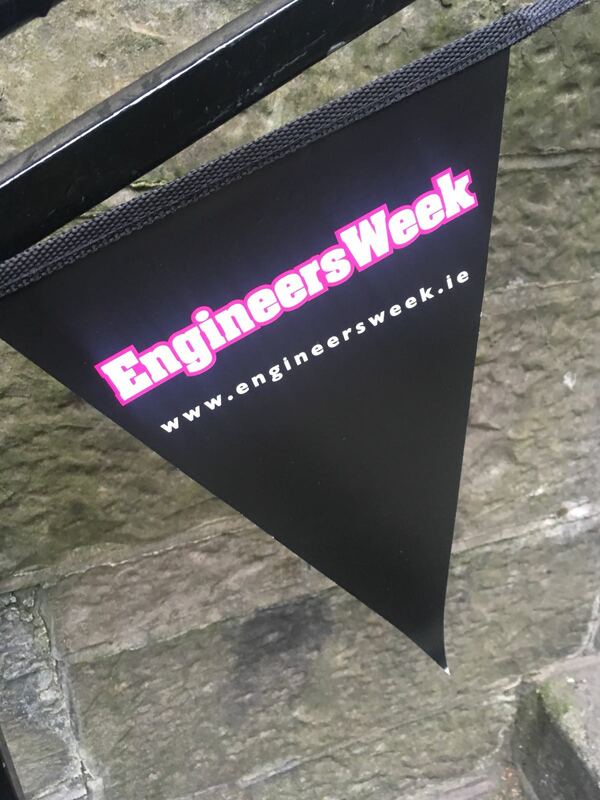 Did you know that an Irish engineer, John Philip Holland designed the first submarine? 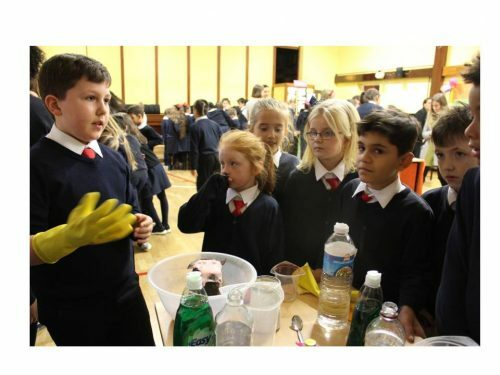 Check out the slideshow to see some of the challenges that the children faced.